Low yardage, new yardage arriving mid May. How exciting! 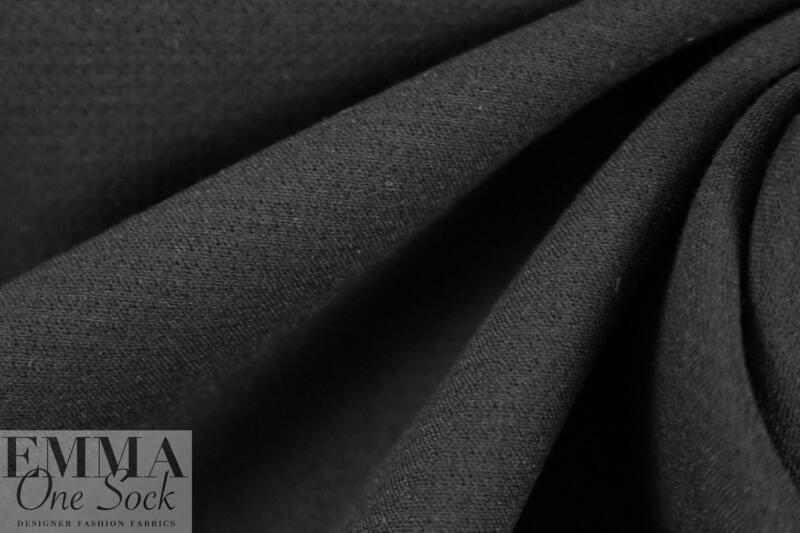 Here is a double crepe that imitates the classic and beautiful wool double crepe preferred by top designers. 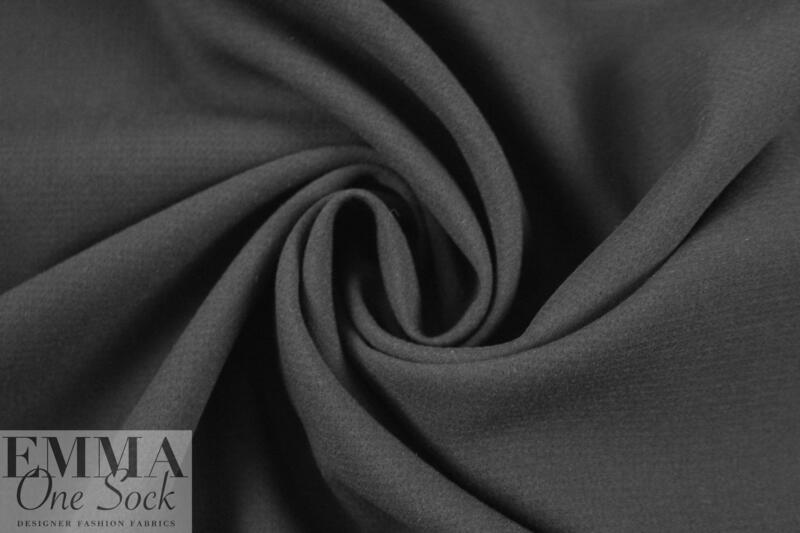 It is a poly/viscose/elastic blend, an opaque suiting/dress weight with some body in the drape. 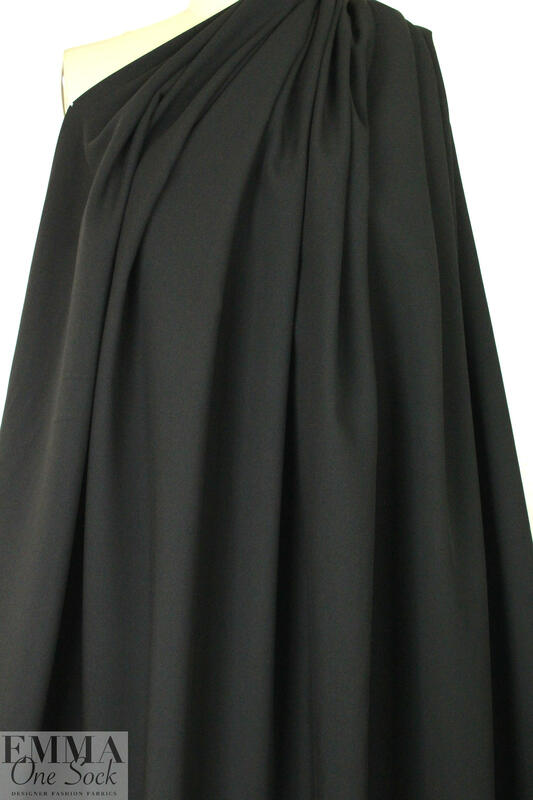 With about 10% stretch in the width only, it is perfect for a suit, jacket, sheath dress, pencil skirt, trousers, etc. 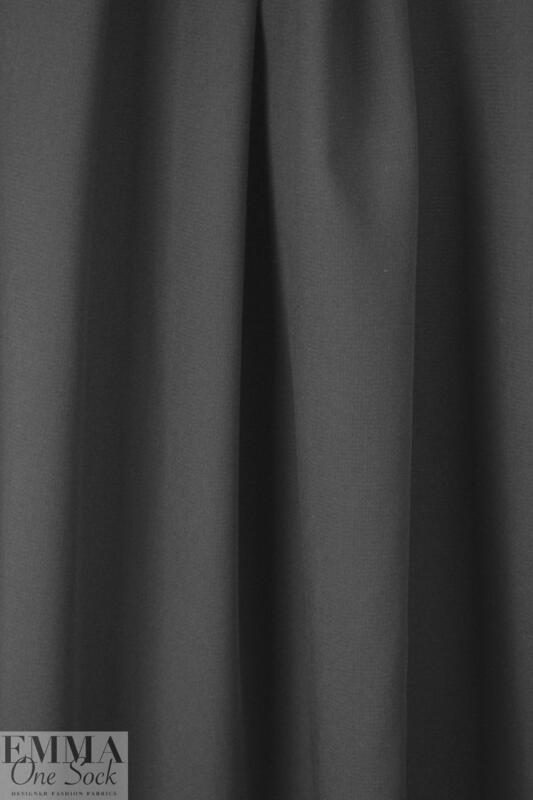 The two layers are interlocked with threads (they do pull apart but not easily), and the color is black. Sophisticated, classic, and a dead ringer for its more expensive counterpart. Dry cleaning recommended, or hand or machine wash and hang to dry.